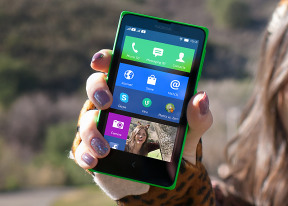 iizuu, 15 Mar 2014friends,,,, which is best lumia 520 or nokia X... which one to buy...???? ?please believe me, windows 8 phone is the worst phone. i used nokia lumia 520. really there are a lot of problems. I think android phone is much much much better than any other OS. 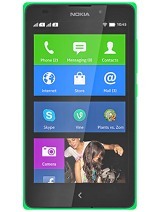 so if you love nokia, you can try nokia x. but i have not used nokia x. i have used other companies android, like HTC, SAMSUNG, MICROMAX. Main thing is that, ANDROID ANDROID ANDROID. Do I need to download app killer to kill app ? Because fastlane wouldn't kill the app ..
Is this phone use nokia browser? If so can i zoom page in nokia browser? 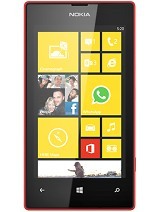 Vishal D., 15 Mar 2014Go for X, don't even try to think Lumia 520..its worst phone...Nooo. U can't talk like that. Each phone has its own strength and weakness. 520 runs very smoothly and it has great camera quality also. Hello guys.. Can i view PDF file in nokia x?. Pls help me, i am luking a celphone that can view PDF file in entry level. Helo guys, can i view the PDF format file in nokia x?..pls held i am luking a phone that can view pdf file in entry level..
A reputed Nokia company should have introduced Android smartphone Two Years ago instead of going astray, selling themself, vanishing into the thin Air today. ana, 15 Mar 2014which is better ? ?nokia x or lumia? ?tell me plzzzzzzObviously..nokia X...beacause yu get many apps...and..android ecosystem is very usefull than windows ecosystem.So yu go for Nokia Xs series phone..I think yu..wait for nokia X+or Nokia XL..